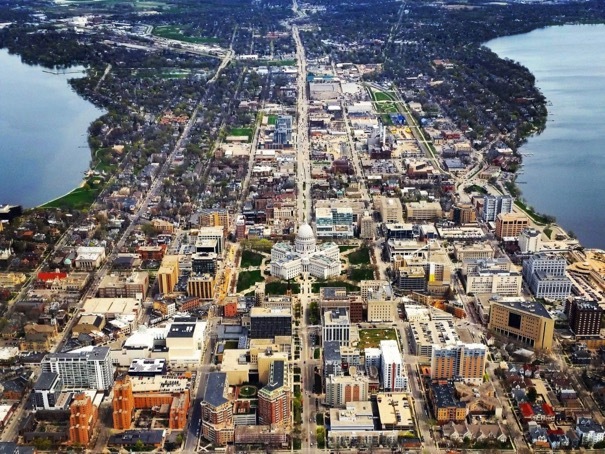 A lot of people ask me how it is living in Madison, and I tell them it’s one of the most livable cities in America. It’s so livable I just got rid of my car. It does revolve around the schedules for the University of Wisconsin athletic teams. That, and the Green Bay Packers. I don’t care about sports, but that’s not a popular thing to say here when people feel so strongly about these teams. And if you’re someone who doesn’t care about sports you go watch highlights on Youtube so you can talk to people who can only talk sports. Like I’ll be watching this Packers video. They were playing the Dallas Cowboys with 1:13 left, and were down three with the ball. Aaron Rodgers, the quarterback, drives 75 yards down the field and scores a touchdown. The Packers win the game. The Packers wanted a touchdown, an outcome. Most people want some outcome. They want to be, I don’t know, the author of a best-selling book, a famous speaker, rich. But they don’t want to repeatedly do the little things it takes to get them there. They don’t want the process, to put in the work required. Having a best-selling book means sitting down every single day and spending two hours on your writing. Being a famous speaker means crisscrossing the country to give 100 talks on your own dime. Getting rich means spending less than you earn and investing the difference. This is how you get an outcome. But here’s the thing. Doing the little things over and over again takes self-control. Maybe I’m good at self-control. I remember as a kid my parents would give me and my sisters soda once per week, on Saturday nights. My dad would line up three little cups, filling them halfway with soda and topping them off with tap water. This cruel little exercise taught me that self-control is a muscle. If you use it, it gets stronger, and if you don’t, it gets weaker. Here’s another example. 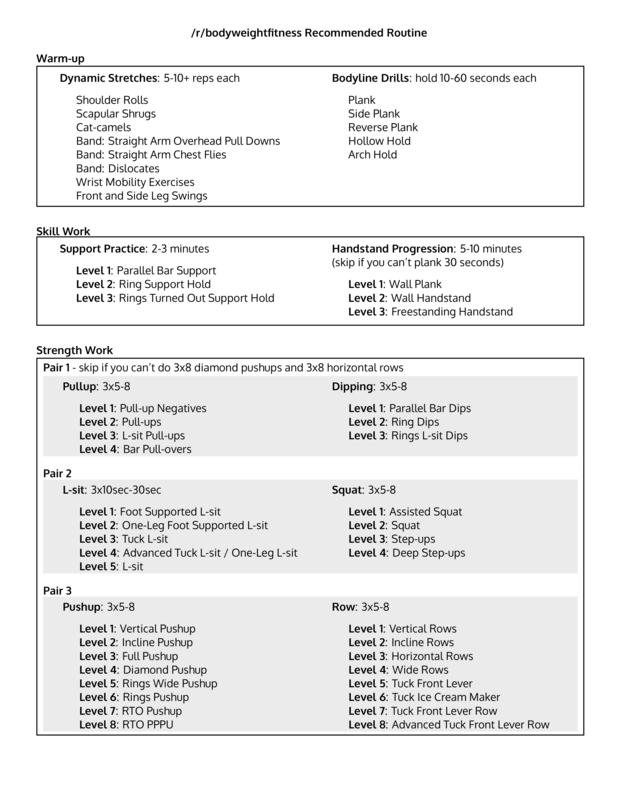 Two years ago I wanted to build more muscle, so I started doing this full-body workout from Reddit. Three times a week I’m walking one block over to the park to do these exercises. And after a few weeks you form a little habit, and then it just becomes what you do. The reason you’re working out three times a week is because you workout three times a week. And eventually you’ve been working out three times a week for 114 weeks, and the bigger that number gets the more it scares you. All it takes is skipping one day for that number to go back to zero. You probably think this sounds nuts, but this is how you build long-term habits. You start small, and then use the fear of starting over to make you stronger. To practice self-control. This works equally well for your personal finances, too. Most people say they want to earn more money, and the easiest way to earn more money is to spend less. You can double your income if you cut your expenses in half. Why not start with something small, like the $5 a day you spend on coffee. It doesn’t have to be coffee, it can be whatever little thing you repeatedly waste money on. Once you form a little habit of saving $5 a day then you form a little habit of saving $20 a day. Maybe that comes from the $15 you spend eating out. It might help to think of this like a snowball rolling down a long, steep hill. That’s what you’re doing by saving $5 a day here and $15 a day there because that adds up to $600 a month. That $600 a month becomes $7,000 a year, and that $7,000 a year becomes $35,000 every five years, and that $35,000 every five years becomes $175,000 in 25 years. If you invest this $20 a day, getting a 7% return, in 25 years you have $500,000. Wow, half a million for just $20 a day! Yet people still complain to me they can’t do this, and I think the reason they can’t do this is because they listen to that little voice in their head. The hardest thing in life is probably self-control, so just start with one little habit. Do it over and over again. And then go build another little habit and another. Now you have a bunch of little habits creating so much momentum that you won’t be able to stop. That’s how you succeed, just like Aaron Rodgers said.